Under the new ownership of OPC Optics, Meyer Optik Gorlitz has now confirmed what many have long suspected. The $3,000 Nocturnus 50mm f/0.95 lens was indeed a just a copy of the now-discontinued $850 Mitakon Zhongyi Speedmaster 50mm f/0.95. Despite the specs being identical, this is something that Meyer Optik had long denied. The rumours about the cloning have been around since 2015. In a press release, Meyer Optik Gorlitz under the ownership of OPC optics has finally admitted the truth. And not only that, but the Somnium 85mm f/1.5 lens was also, apparently, a modified Russian lens. It’s been a bit of a wild ride for Meyer Optik, but probably not half as wild as for those who’ve backed their products and projects on Indiegogo and Kickstarter over the last couple of years. In August of this year, NetSE Group, the company behind Meyer Optik Görlitz, Emil Busch A.G. Rathenau, Oprema Jena, C.P. Goerz, Ihagee Elbaflex and A. Schacht brands filed for bankruptcy. Two months later the insolvency proceedings began, and it was announced that none of the backers would be receiving their lenses, nor would they be getting their money back. Now, though, there may be some new hope for at least the Meyer Optik Görlitz brand, as it’s been acquired by OPC Optics (Precision Components Europe GmBH). Earlier this year, NetSE Group – the company behind Oprema Jena and Meyer Optik Göerlitz – filed for bankruptcy. The insolvency proceeding has now been opened, and all the lenses pre-financed by crowdfunding will not be delivered. In other words, if you have preorder any of these lenses on Kickstarter – it looks like you can kiss your money goodbye. German lens manufacturer Meyer Optik Görlitz has just launched a new version of their super-fast 50mm f/0.95 lens. Nocturnus 50 III F0.95 comes in a new design and it’s less heavy than the previous model. It’s made for full-frame cameras, but you can use it on crop bodies, too. Also, it now features a Leica M mount in addition to Sony E and Fuji X.
Meyer-Optik-Gorlitz has decided to bring a historic Lydith 30mm f/3.5 lens back to life. They’ve launched a Kickstarter campaign trying to raise funds for the rebirth of the lens originally released in 1964. 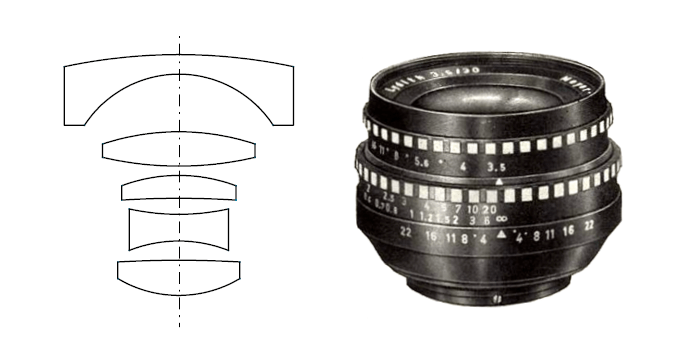 More than 50 years later, they plan to remake the lens with all its qualities, but also with some additional improvements. You know the saying “they don’t make them like they used to”? Apparently, Meyer Optik wants to make them exactly like they used to. And by them, I mean lenses. After resurrecting the Trioplan f2.9/50 and the Trioplan f2.8/100 Meyer Optik are now bringing a new series of lenses to life, starting with the Primoplan 58 f1.9. All via Kickstarter. Meyer Optik’s two previous kickstarters raised about a million dollars and they were both for lenses from the Trioplan series. Their new kickstarter project is for a lens from the Primoplan series – the 58 f/1.9. This lens is known for its very soft and creamy bokeh.